3.1 How often do you need to change spark plugs and wires? 3.2 What is the main cause of spark plug failure? 3.3 What happens to a spark plug as it ages? 3.4 What are the benefits of replacing your spark plugs? 3.5 What is a hot or cold spark plug? 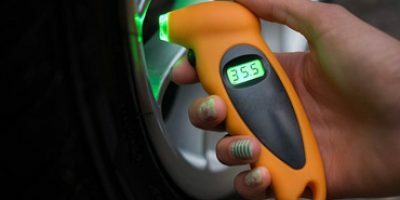 When you hear people talk about what should be considered routine scheduled auto maintenance you often hear things like checking the tire pressure and changing the oil mentioned. What is surprising is how many people do not consider changing their spark plugs as part of this routine scheduled maintenance that their car or truck requires. Changing your spark plugs on a regular basis can be every bit as important as changing your oil or checking your tire pressure routinely. That is why we have taken the time to come up with a list of the best spark plugs and to give you some important buying information on spark plugs too. This company is not as well-known as some of the other auto parts manufacturers on our list of best spark plugs but don’t let that fool you. Denso makes some really good replacement auto parts and these spark plugs are a fine example of that. They are a very good quality spark plug for the price. It is a plug that is solidly built and threads easy into the cylinders they are placed in without binding. Once installed they provided a very sound and reliable spark as evidenced by the fact that the engines they were installed in ran extremely smooth. These have a very nice price point for an iridium core spark plug. By the way, they will make any vehicle they are installed in run smoother and get better gas mileage that makes them an exceptional spark plug by for their affordable cost. There are a few concerns about these plugs. One they are not available for all makes of North American made cars. The other drawback is that the manufacturer recommends installing them without anti-seize thread coating. We think this is risky with a 100,000 mile spark plug. 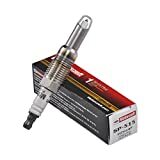 Here is another great product from Bosch and we can honestly say it is a way too advanced in terms of technology compared to the other spark plugs manufactured by this company. And the main reason for this is the improved performance which will give you up to four times longer service life of your spark plugs. We really liked the extra durability of this unit. 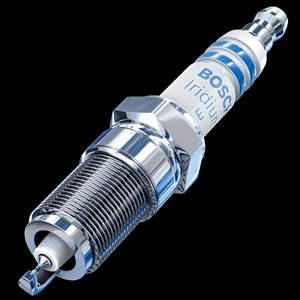 It is due to the fact that Bosch has developed spark plugs with double iridium inlay which is laser welded for better retention. Also, all metal parts are corrosion-resistant and this makes them extremely durable and increases the performance of the product. Another thing we found beneficial is that this spark plugs are pre-gapped and hence easily installed. Longer life and extended guarantee for such excellent performance of these spark plugs will be expensive, and by saying this, we mean that you cannot expect such quality without dipping into your pocket. Another thing that confused us as well is the fact that although the nickel-plated threads do not come lubricated with anti-seize protection, there is no clear instruction about this issue in the manual. This company is a big name when it comes to replacement auto products. Motorcraft is a company that is constantly striving to improve their products by investing in such things as auto racing teams. This spark plug is a good example of how those investments pay off by helping to create superior products. These plugs are designed by Ford Motor Company and made to fit the exacting standards that they want to be used in the cars they manufacture. That does not mean they can only be used in Ford Motor Company vehicles, though. They will work well in GMC, Dodge and other vehicles too. Once installed, these plugs will really make your Ford or other model vehicle run very smoothly. They often need very little adjustment during this process too. It is a plug that threads in easy and fits very nicely too. When we went to change these plugs they were very easy to put in, however, this design plug can be a real bear to take out so be prepared for this. Make sure you have a spark plug extractor tool handy before you even attempt to start the project. 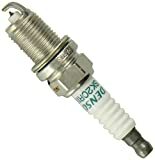 This is a well-designed spark plug from the NGK line of replacement auto part products. It uses some very innovative technology, to say the least. It will nicely provide consistent and quality spark to any engine that they can be installed in. There is a lot to like about these spark plugs. They are an excellent choice because of such features as the longer insulator that tends to prevent fouling of the plug and its rib designed threads also help prevent flashover. These plugs are also triple sealed at the gasket to help increase gas mileage and eliminate wasteful emissions. We are big fans of iridium core spark plugs. They tend to give the vehicles that use them some distinct advantages such as a higher quality spark and an extremely long useful life. These plugs can be a little bit to the pricey side but they seem to be worth it. Although the manufacturer states they do not need to be lubed upon installation you should still put a very light coat of anti-seize on them. Here is another really good spark plug from NGK. They are specifically made to install very easily on today’s higher performance type engines. They won’t break the bank and that is surprising for how well these spark plugs are made. They have a longer nose which helps to prevent them from fouling up prematurely and they also have a high heat resistant iridium welded core. These plugs also are built with corrugated tread design to help prevent over flashing and they also have anti-corrosive and anti-seizing properties added to them too. They are actually two things that we really liked about these spark plugs. One is that they are an amazingly affordable spark plug for how well they are built. The other is that they are made to be used in high-performance engines and they work really well in them. There are some possibilities that these plugs may not be as durable as some other spark plugs due to the way these are built. Even though they have an iridium core we see signs they will not last 100,000 miles but still a great deal for what you pay. The very reputable auto parts manufacturer breaks into are best spark plug reviews with this excellent spark plug. AC Delco is well known for making GM OEM parts and auto parts that are made for vehicles from other auto manufacturers too. These are a high-quality plug that is priced great too. AC Delco has made an iridium core plug here that should last a long time because of this metal alloys natural heat resistance. Once installed these plugs made the engines we put them in run super smith with little or no adjustments needed to the spark plug before installation. These plugs even have some insulating properties built into them that may help prevent electronic engine interference from affecting the electronic parts that are attached to your spark plugs. Once again we are big fans of iridium core spark plugs. They just seem to last significantly longer than other types of plugs we have used in our vehicles. What is even more amazing is how affordable these spark plugs are considering how well they are made. Make sure you put a very light coat of anti-seize material on the threads of these plugs or you may have trouble taking them out after 50,000 miles. Bosch has designed a nice little spark plug here that is easy to install and work great once they are in your vehicle. They are a big improvement over most factory installed types of spark plugs. It’s a good spark plug made by a reputable auto parts manufacturer. Like some of the other plugs we tested, these too use the popular iridium and platinum center core to help ensure they will work fine and last a long time. They are pre-adjusted at the factory to have the proper air gap between them and they are also an affordable spark plug for all that you get from them. Bosch uses a unique ground electrode design on these plugs. It makes for a different cylinder tip than we have seen on similar quality plugs. As smooth as the engines run that we tested these plugs on, we are now believers in this technology. There may be some durability with these spark plugs if you don’t follow the installation instructions from the Bosch website. So make sure you read them over to avoid this issue. We have already told you how important it is to change your spark plugs on a routine basis. Sure some of the new spark plugs may last 100,000 miles but you probably don’t want to take chances there. Not only do you want to change your spark plugs on a routine basis but you also don’t want to change them with just any old type of spark plug either. So what should you look for and consider when buying new spark plugs for your vehicle? Here is a list of suggestions that may help you find the right spark plug for your needs. First and foremost you will have to know some important information about your vehicle. This information will help guide you in buying the right type and size spark plugs for your vehicle. A lot of this information can be obtained from your vehicle registration card. So it is never a bad idea to have that with you when shopping in person or shopping online for spark plugs. Check your vehicle owner’s manual too. Many times it will give you very specific information on the type of spark plugs you should buy for your vehicle when it’s time for a tune-up. It will most likely state the proper spark plug size you need and may even suggest a brand of the spark plug to use also. Spark plugs are not something you want to cut corners and save money on. Many people make the mistake of replacing their original spark plugs with a type that is not up to the same standards as the original spark plugs. This is a big mistake and when you replace your original spark plugs always do so with a type that is equal or better to the spark plugs you are replacing. We don’t often recommend spending money on the most expensive items when you are shopping, but in the case of spark plugs, it is often the best way to go. Buying quality spark plugs will usually save you a significant amount of money in the long run; much more than you will spend additionally to purchase upgraded plugs over a bargain brand plug. A quality spark plug will save you significant money on gas consumption over time. How can you tell one spark plug is of higher quality than another? You need to take a close look at the materials it is made of and the special design features it has built into it. For years copper core spark plugs were the way to go but that is no longer the case because nowadays spark plug cores made of platinum, double platinum or iridium will make your car run much smoother for a longer period of time. Other factors that make a spark plug a higher quality one include such things as grooves cut into the side electrodes or specially designed spark plug seals that help suppress flashover when the plug fires up. When buying spark plugs for your vehicle make sure you consider the main purpose that your vehicle is used for too. Spark plugs that are used in cars that you use to commute back and forth to work can be vastly different than those you use in your high-performance vehicle that you only take out and drive fast on the weekends. How often do you need to change spark plugs and wires? 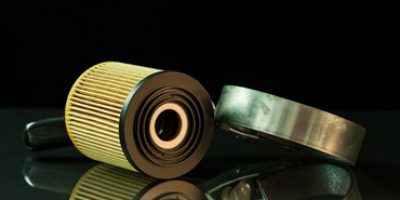 This is a good question and one that is not easy to answer because some of it depends on the quality of the spark plug wires and spark plugs you have in your vehicle. Higher quality spark plugs and wires will last much longer than lower quality ones. It is always a good rule of thumb to replace your spark plug wires at the same time you replace your spark plugs. Most technicians will recommend that you change your spark plugs every 30,000 miles for copper core spark plugs or every 50,000 miles for iridium core spark plugs. This is only if your auto is still running ok. It is not uncommon for spark plugs to go bad or get fouled up much sooner than that. When spark plug trouble happens it does not matter whether you have 10 miles or 60,000 miles on your current set of spark plugs, they will need to be replaced as soon as possible. Here are a few of the telltale signs that your spark plugs may be in need of replacement. When these things occur it is best to change your spark plugs as soon as possible. Be aware that these are just a few of the warning signs that your vehicle’s spark plugs may need to be replaced. Have a professional mechanic take a look at your car right away if you are having problems with your vehicle and you think it might be caused by your spark plugs. What is the main cause of spark plug failure? By far the number one reason for spark plug failure is fouling of the plug that is caused by carbon buildup on the center and ground electrodes. When enough carbon builds up in this area it causes the spark plug to either misfire or the plug may not fire at all. Using quality fuels and setting the spark plug gaps properly will help prevent this from happening. There are a variety of forces at work in your vehicle’s engine that acts upon your spark plugs as they age. Each of these occurrences will take away from the useful life of your engine. You have to remember that spark plugs are embedded in an extremely hot area of your car and are constantly involved in the combustion process at the same time. 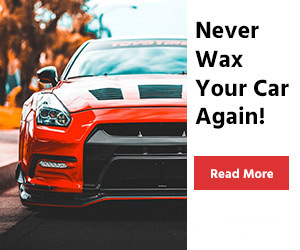 We already mentioned that spark plugs will get fouled up with carbon over time but that is not the only bad thing that happens to them when the age. Part of the spark plug is made up of ceramic material which can crack or break altogether due to the extreme heat that is generated in your engine. Your vehicle’s spark plugs works by having an electric current sent through them in order to create a spark to ignite the combustion process that takes place in your engine. Over time wear, corrosion, carbon buildup, heat and engine lubricants getting on the spark plug all take a toll on a spark plug’s useful life. What are the benefits of replacing your spark plugs? If your spark plugs are starting to go bad for any number of reasons your vehicle will stop working at peak efficiency and this is never a good thing. Bad spark plugs can cause your car to jerk violently when the accelerator is pressed, cause your engine to misfire or cause any other number of reactions which are not good for your vehicle. 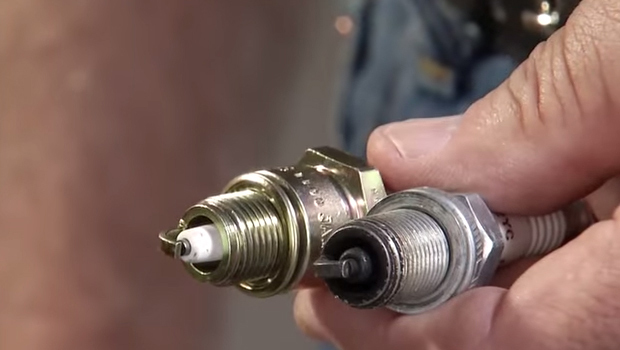 Here are a few of the major benefits you will get from changing your spark plugs. Once you have changed your spark plugs the combustion process in your engine flows along much better. This will make your engine run smoother and your car will be much more comfortable to drive. When your engine runs smoother it takes less effort by it to keep the combustion process in it going along. This will in turn significantly improve your gas mileage over time. When your vehicle hesitates or jerks violently because your spark plugs are not firing correctly then you risk hurting other parts of your car from these motions and excessive heat buildup too. 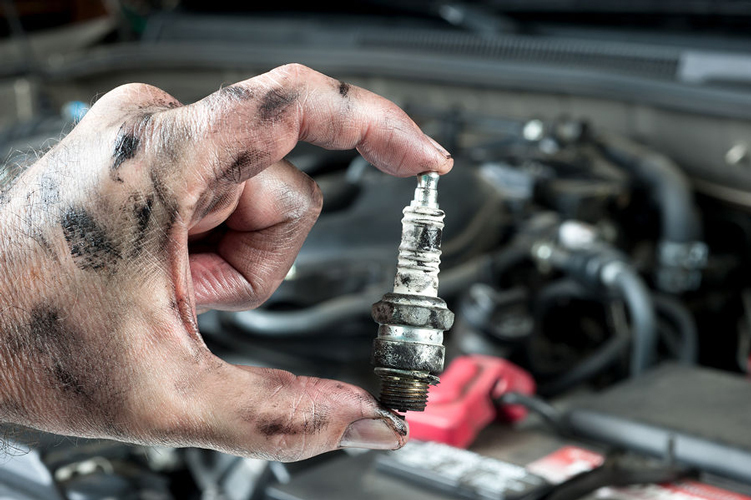 Replacing your spark plugs will usually eliminate this additional wear and tear on your vehicle. 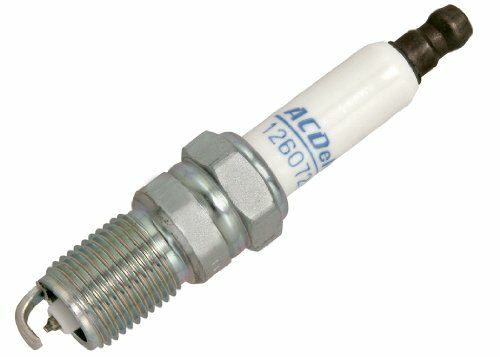 What is a hot or cold spark plug? It is up to each car manufacturer to determine if your vehicle’s engine requires the use of what are termed hot or cold spark plugs. Every spark plug has ceramic insulation built into it and the amount of this insulation is what determines if a spark plug is considered a hot or cold spark plug. A spark plug that is considered a ‘hotplug’ has its ceramic insulation contact a smaller area of a metal surface on the rest of the spark plus; as you can guess this causes the spark plug to get hotter which also helps the spark plug clean carbon off itself. Since ‘cold plugs’ don’t get as hot they are preferred for use in high-performance engines which generate very high heat already when operating. Hopefully, you now understand how your vehicles spark plugs work better than you did before reading these spark plug reviews. Use what you have learned here to choose your next set of spark plugs so you get the results and durability that a good set of spark plugs can provide. Installing the best spark plugs you can buy for the money has a lot of benefits for both you and your vehicle.